5 stars - "Epson Stylus Office BX305FW Plus All-in-one InkJet Printer with CISS" by Clare Woodson	, Written on 2012, 13:25/07/19 It's really high quality thing, all components are great; I mean the device itself, ink and ciss. 5 stars - "Epson Stylus Office BX305FW Plus All-in-one InkJet Printer with CISS" by Aldo, Written on 2012, 12:52/11/27 I had Epson Stylus Office BX305FW. Great device! I thought about taking Canon all-in-one, but I didnвЂ™t like the characteristics that limited functionality. Buy Printer Epson Stylus Office BX305FW Plus with CISS and make 30 times more quality prints for the same money! For office work this multifunction device is a fast and reliable assistant. In addition to printing, copying and scanning, it also has a function of facsimile. The combination of these important features of epson stylus office bx305fw plus all-in-one printer ensures fast and efficient management with all possible office tasks. 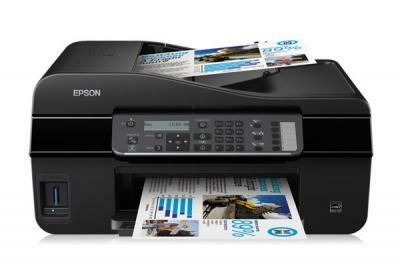 Epson bx305fw plus comes with Epson Connect, offering more flexibility and freedom, allowing users to print photos and documents wirelessly from smartphones and tablet PCs quickly and easily. Epson stylus office bx305fw plus printer allows to make high-quality printing of simple documents and photos using only the individual cartridges DURABrite Ultra Ink. This device is capable of printing both color and monochrome documents. Print speed of B/W A4 documents вЂ“ is 34 pages / min, print speed of color documents вЂ“ 15 pages / min. The maximum resolution of the device for scanner вЂ“ is 1200 × 2400dpi, scanning speed for B / W documents вЂ“ is 7 inches / min, the scanning speed of color documents вЂ“ 13.1 inches / min. For the copier maximal resolution for monochrome and color documents вЂ“ is 5760x1440 dpi. Universal Epson Stylus bx305fw inkjet printer is equipped with a high-speed USB 2.0 connection module, as well as with Wi-Fi LAN IEEE 802.11b/g/n3, the safety of which is provided by support of WEP, WPA2 encryption. This printer supports the following operating systems: Apple MacOS X 10.4.11, Microsoft Windows 7, Microsoft Windows Vista, Microsoft Windows XP. Epson stylus office bx305fw has an automatic document feeder (ADF), which saves your time, so you can quickly scan and copy multi-page documents. With the help of five speed-dial fax buttons, the users can store frequently dialed numbers, and two-line text LCD screen allows you to use all benefits of faxing quickly and easily. Modem speed вЂ“ is 33.6 kb/s, fax memory вЂ“ is 180 pages, the maximum number of speed dials вЂ“ is 60. Here is an ideal office MFP with compact dimensions of 460x411x235 mm and with weight of only 15.6 pounds, that is 7.1 kg. Except for Epson bx305fw plus the MFP Epson stylus office bx535wd represented by the manufacturer has also good functional properties. In order to save money on printing and consumables for high-volume printing there is the multi-function inkjet printer Epson stylus office bx305fw plus price. 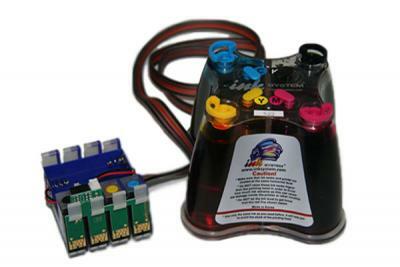 The original continuous ink supply system is installed in the printer. 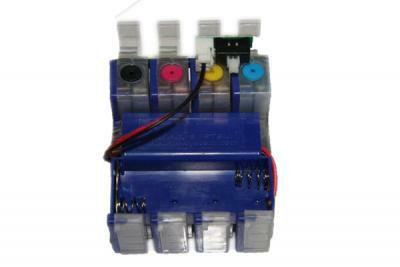 The printer uses ink cartridges with 4 colors: black, yellow, magenta and cyan. Economical cartridge sets are of standard and high capacity. To continue working with printer, if the ink runs out it is enough to fill up the tank. With the purchase of such MFP, the user gets a quick and universal assistant which will properly make its "paperwork" and also save time and money of a user. For such purposes, you may also use the multifunctional device of the model вЂ“ Epson stylus office bx935wd. 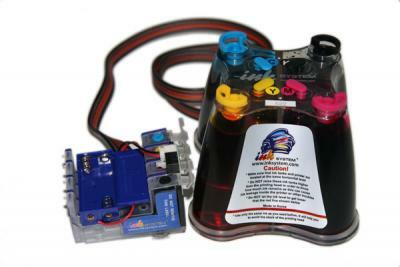 It's really high quality thing, all components are great; I mean the device itself, ink and ciss. I had Epson Stylus Office BX305FW. Great device! I thought about taking Canon all-in-one, but I didnвЂ™t like the characteristics that limited functionality.